This weeks friday wrap is just a short rave, rant -personal opinion of the CMS “content management system” word press. 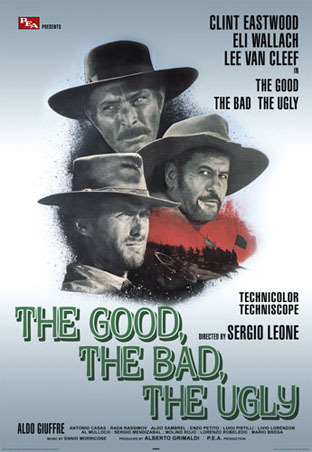 WordPress the good the bad and the ugly! As with a lot of things that I touch I normally end up with an opinion and wordpress is no different, if I was to sum up in one line how I feel about WP it would be some what contradictory as I can say I love and hate word press in a single breath. Even though I have a definitive personal negative bias overall towards wordpress. For the average user the pros far outweigh the cons. What I like about WP the most is it allows all types of business owners be it a shop owner a tour guide or a budding web entrenpenur a means by which they can manage their own web site without needing a webmaster each time they wish to make a change or add a page. This in itself leads me to recommend it to nearly every one I meet who wants needs or would like a website which seems to be 25% of the people I come in to contact with including those that have websites not built with wordpress and now can not change anything cause the previous webmaster went MIA or is simply ripping them off. Just to highlight how easy this is when I was in Trang a few months back I met a young lady who was a tour guide she then mentioned that she needed a website, pretty much asking if I would build one for her, “even though she was / is drop dead gorgeous” my response was pretty standard “sorry no can do! I can show you how to do it yourself though” this always gets me off the hook as few even follow through and buy a domain. Sure enough the next day she had bought a domain with a little help on choosing the name and was ready to start, luckily I had a few weeks in Trang. You may ask what’s the big deal what makes this case so different and worth highlighting? She barely spoke English and Writing even worse! And wanted an english language website. Long story short I gave her around 5 intense 2 hr lessons and today she has a nice website that ranks on page 1 for her fairly competitive desired term, that she built all by herself “I did nothing other than set it up” that’s how easy it is for the average business owner to build and rank a site using wordpress. This ease of use for the average user makes wordpress an absolute winner for anyone who needs a website and wants to manage it themselves, even though you may still need to have someone install it initially for you the upside is it is a one time cost and not going to cost you the earth. So with all this good going on how can I have a negative bias towards wordpress? well the couple of things that I dislike are so fundamental to running a business like mine they trump all the great things wordpress has. Close to 1,000 files has a lot of downsides primarily the uploading of them to your host each time you create a site, I’m still having nightmares after the last upload, trying to find all those that partially loaded or loaded with zero bytes, yep I know certain hosts like godaddy have everything installed I just choose not to use the idiotic interface & navigation over at godaddy. This number of files also makes for creating a custom change no easy order even for semi advanced users this leads to me too my primary gripe “If you can figure out how to mod it without blowing it up” your pretty much in trouble for the foreseeable future each upgrade will require you to re do your custom change this in itself is a deal killer for myself who likes a totally hands off approach. Overall wordpress has more than created a place for itself on the web and is an asset to most “I still use it just not on all sites” www.meetup.com has a number of different wordpress groups in different cities I used to attend the one in South Florida WP word press also has WordCamps each year in most major cities and is well worth checking out! WordCamp Miami I can personally vouch for as a great weekend. This entry was posted in Friday Wrap, Minimum Wifi, Wordpress and tagged Wordpress. Bookmark the permalink.